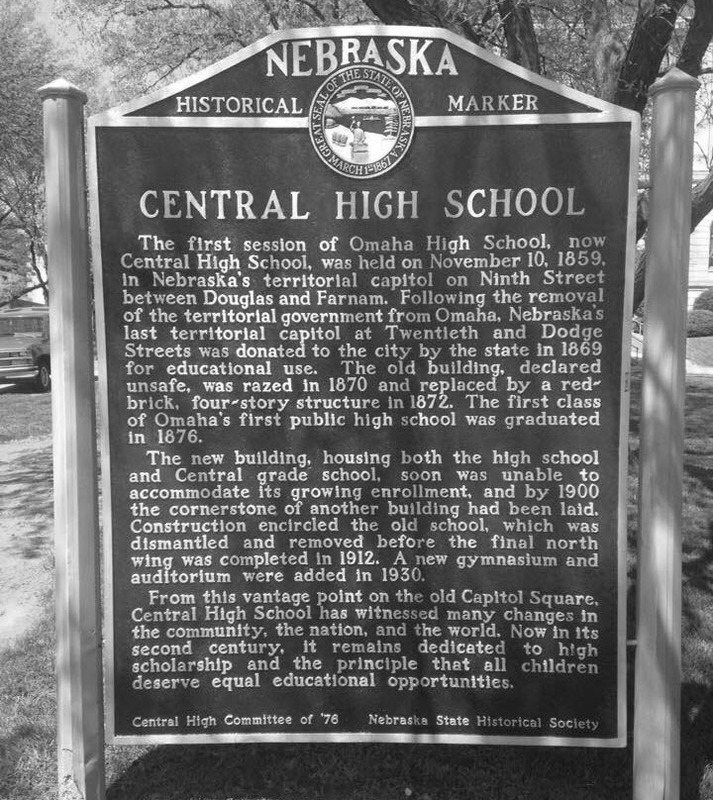 This Spring several Central High Honors and IB students spent a weekend restoring the historical markers located outside the building. They spent part of day 1 priming the signs, then applied the dark blue background to everything. Automotive paint was used, so it was very sticky and hard to work with. Next, an Art student painted the state seals while a couple of other students hand painted each individual letter with silver paint. They added some flowers with little purple blossoms and then put down mulch. Many compliments have been given about the improvement to the markers. This was done under the direction of Gary Groff, CHS, Social Studies Department Chair.